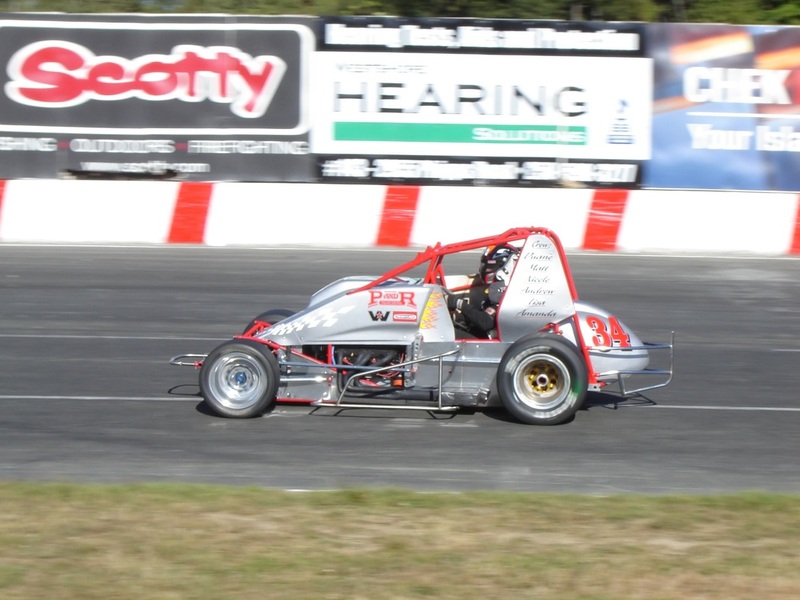 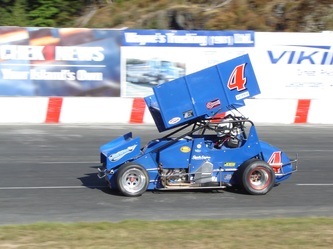 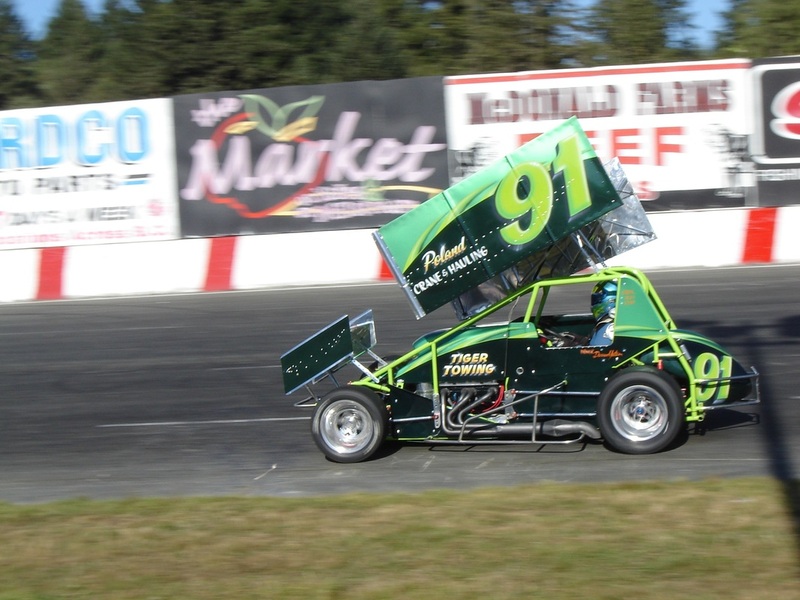 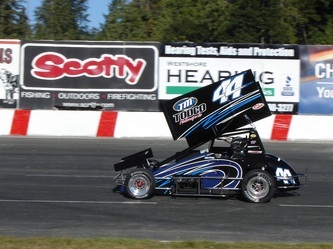 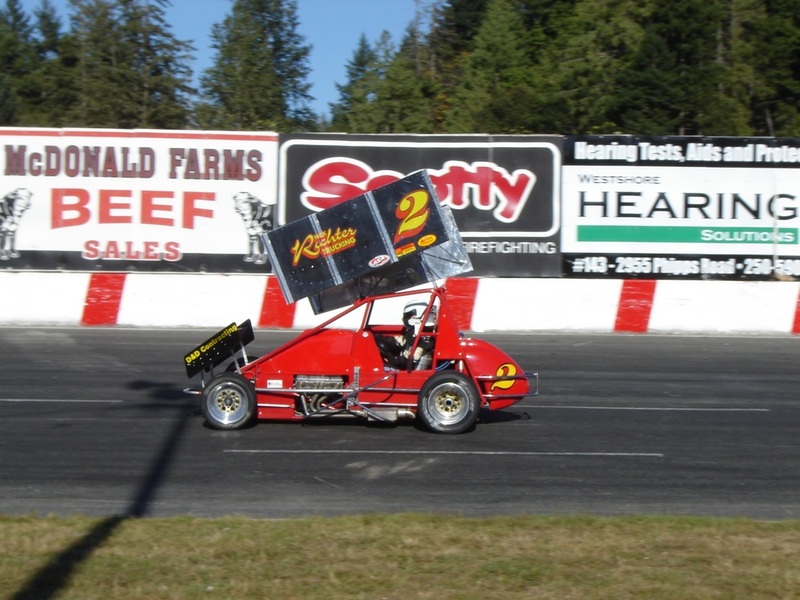 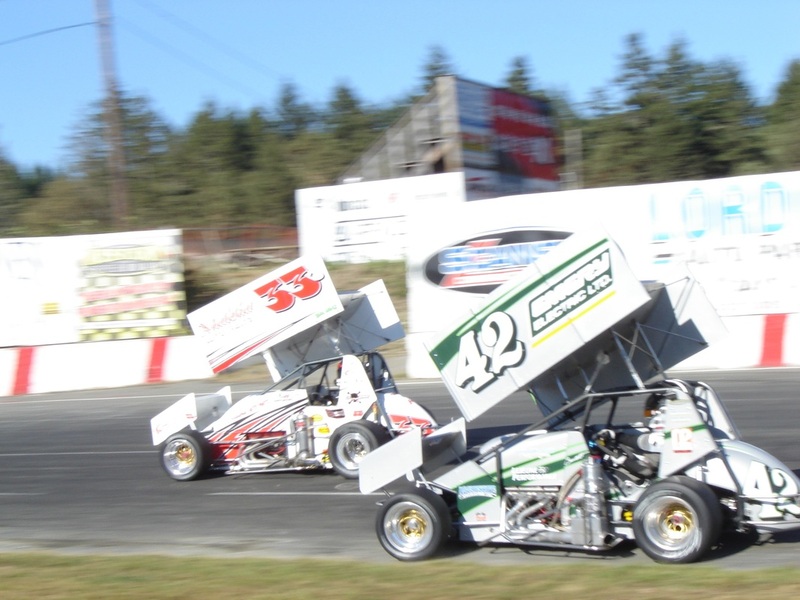 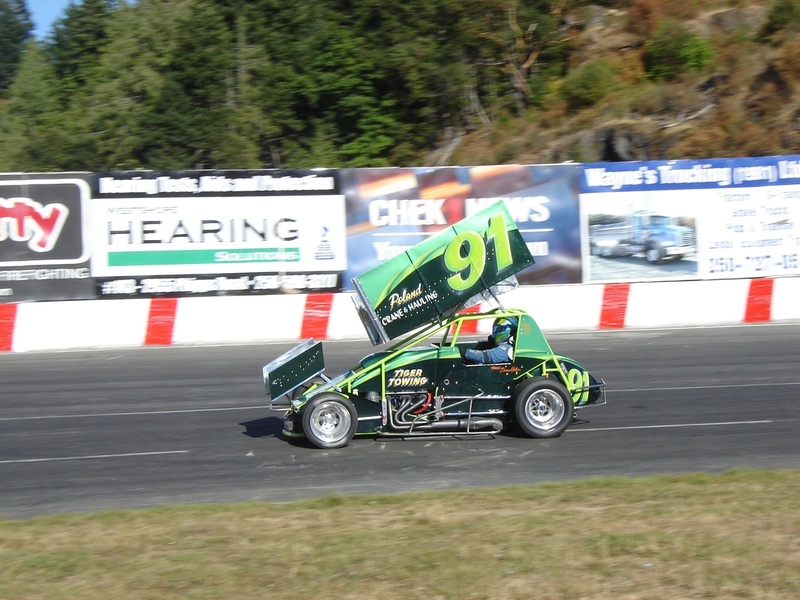 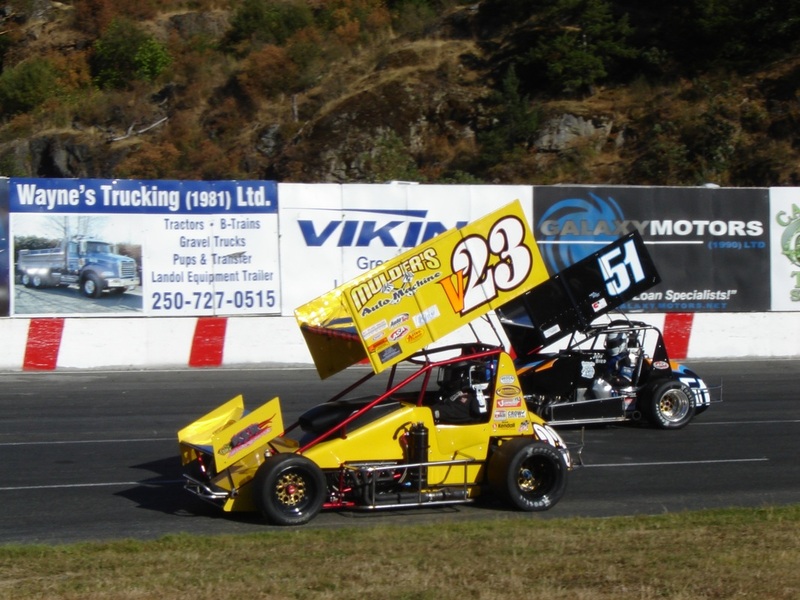 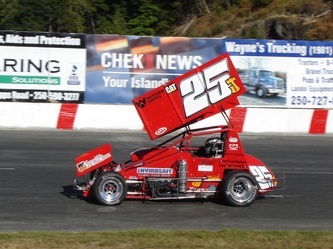 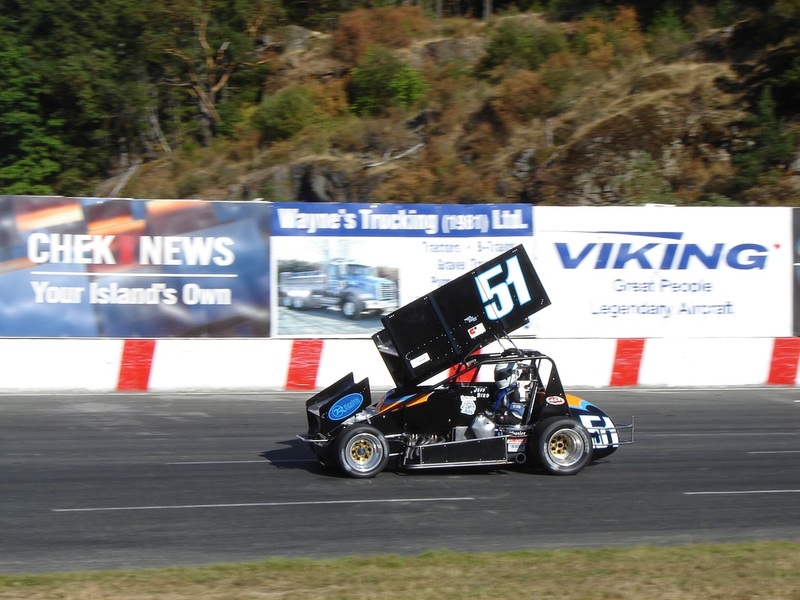 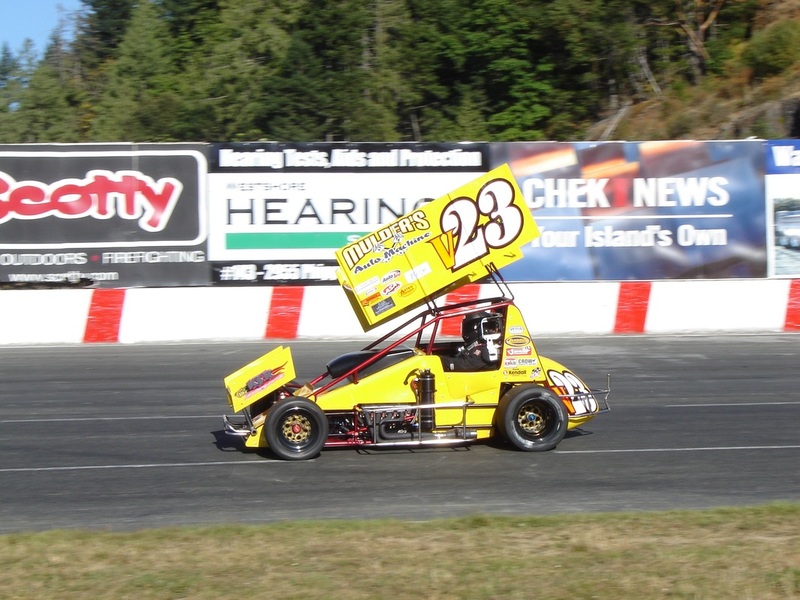 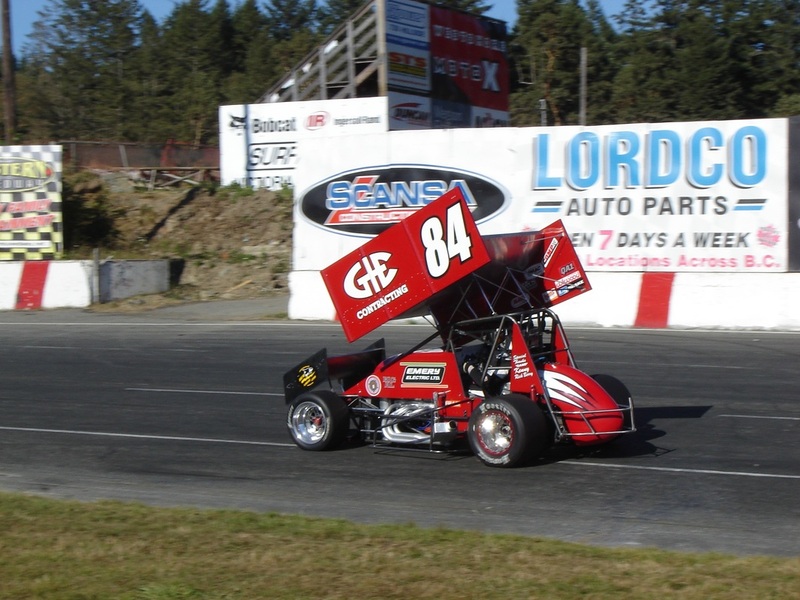 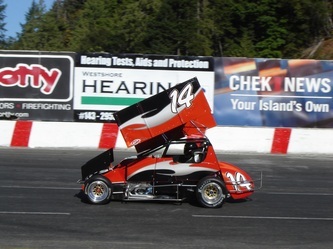 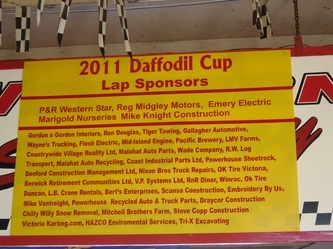 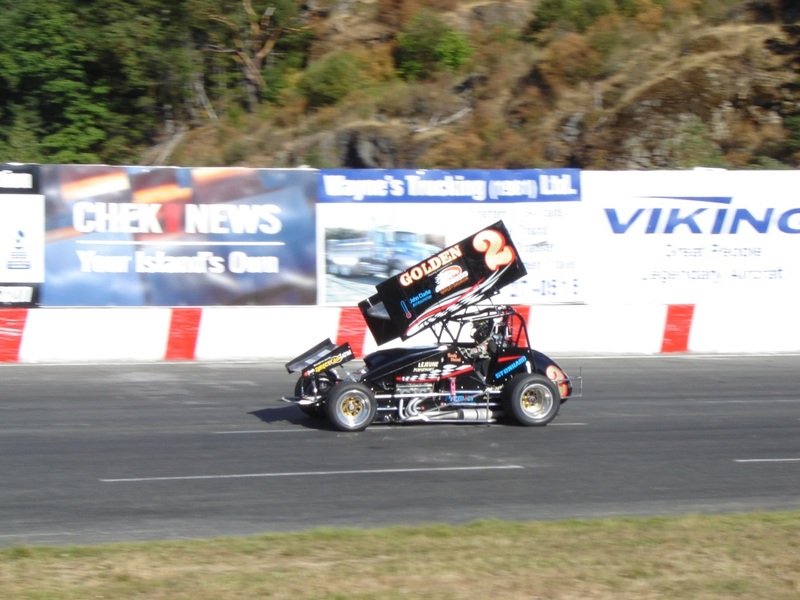 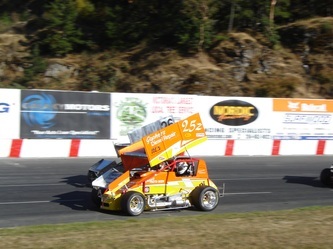 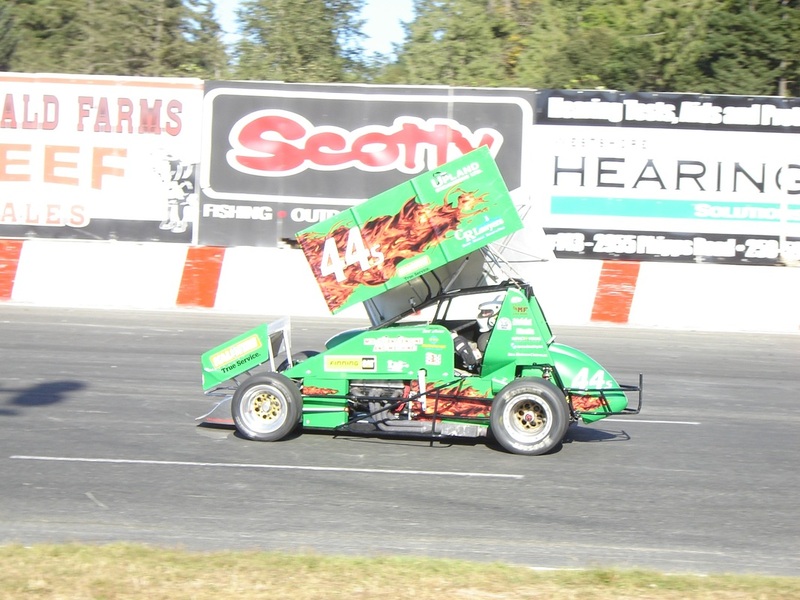 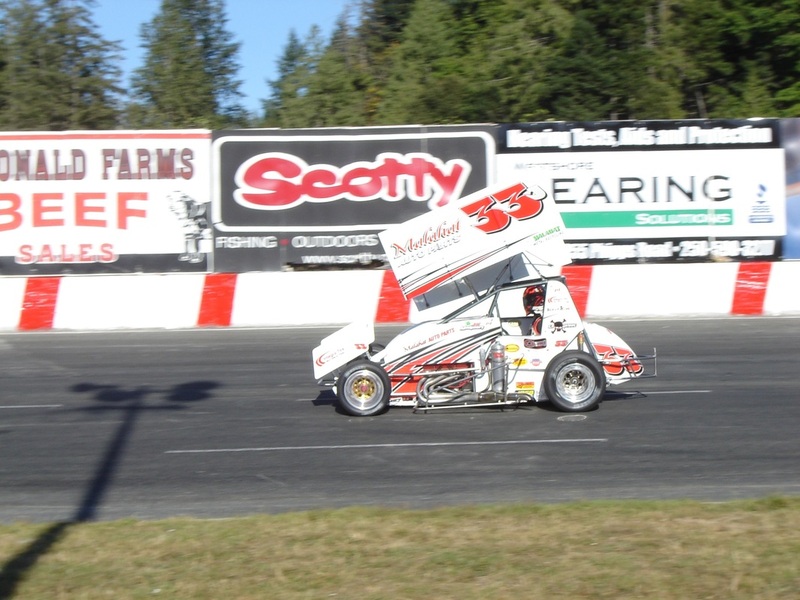 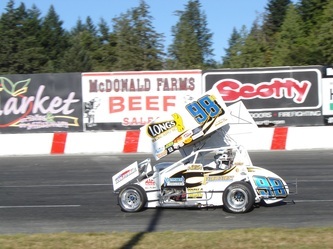 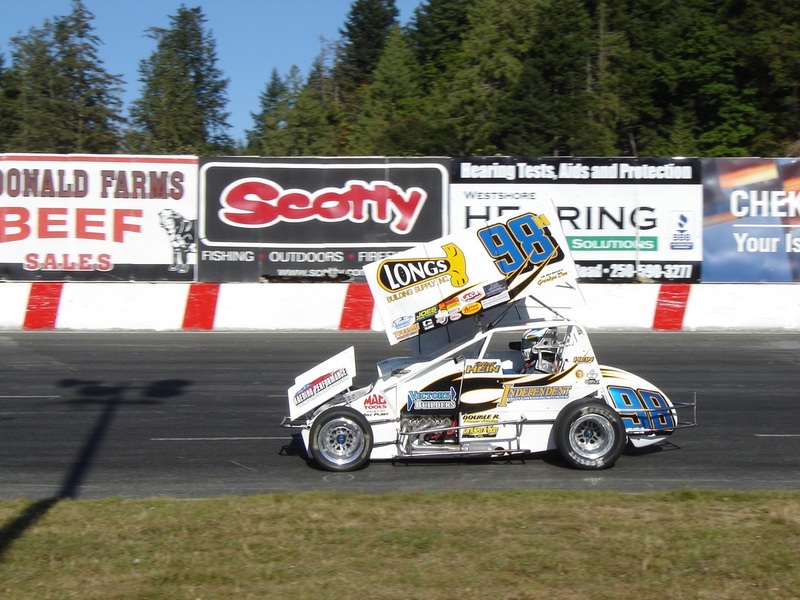 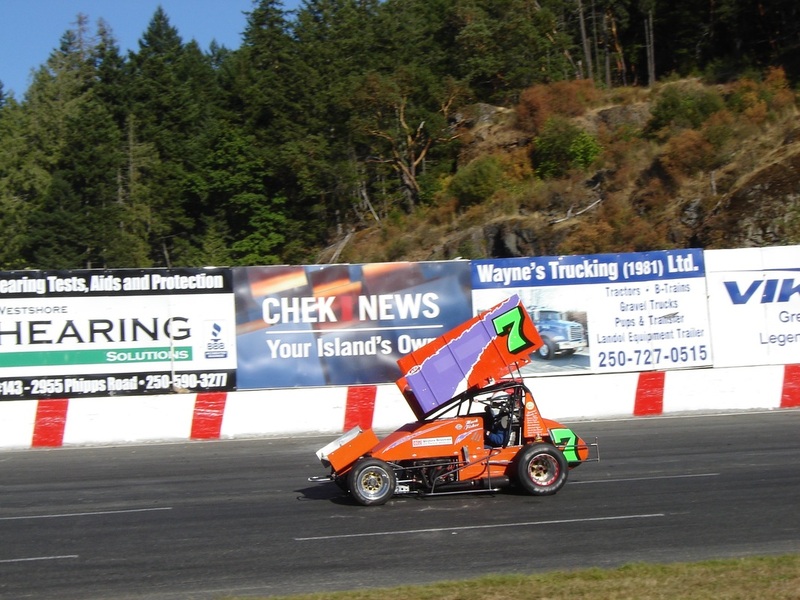 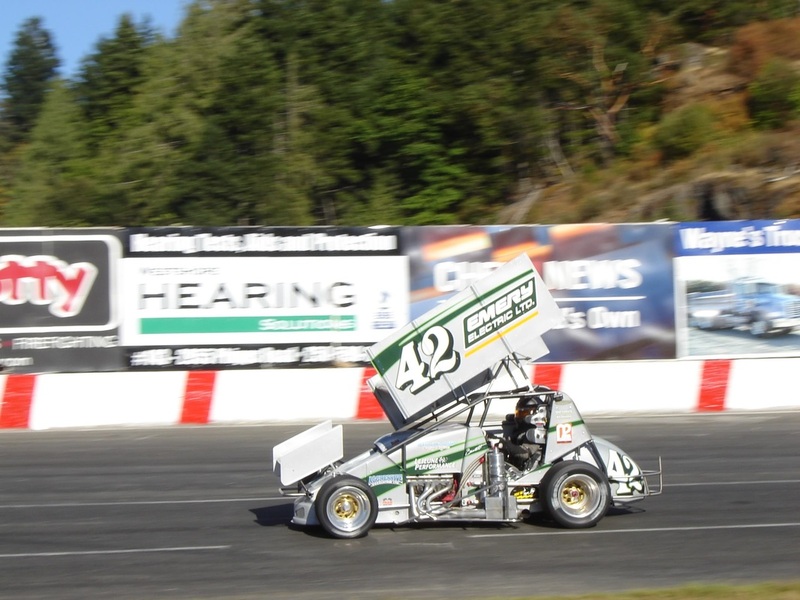 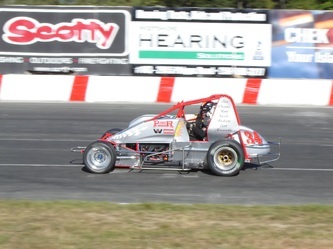 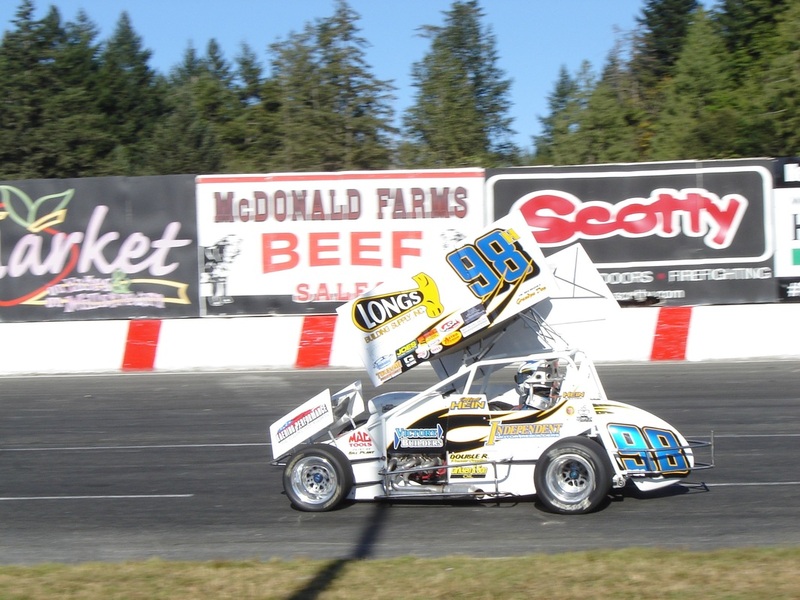 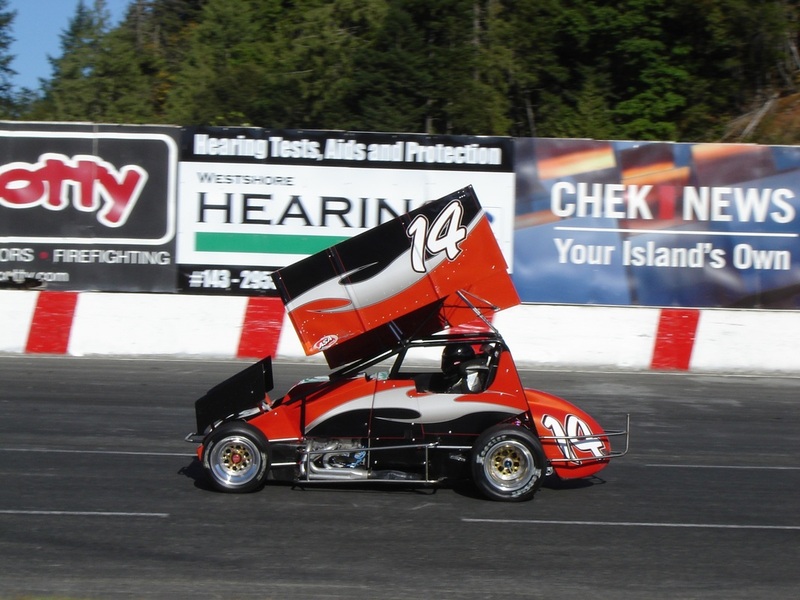 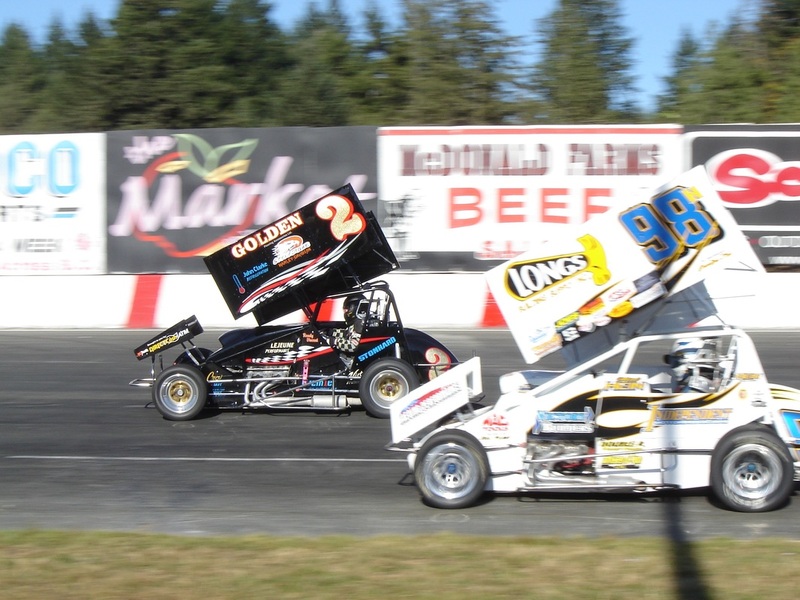 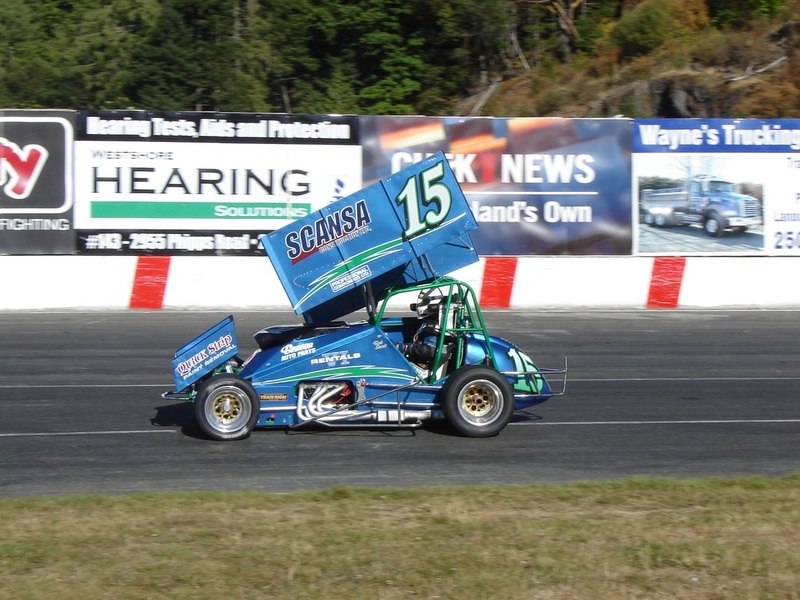 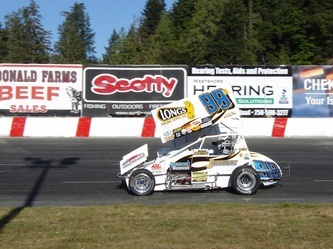 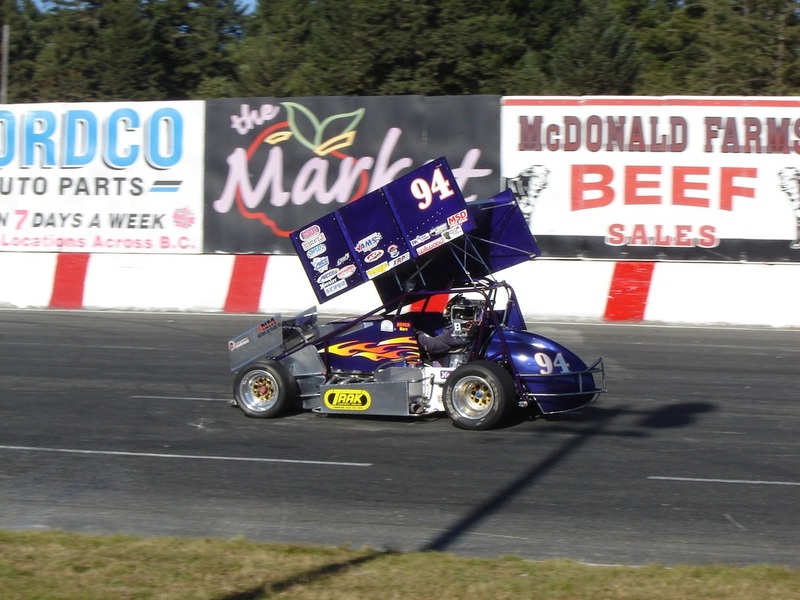 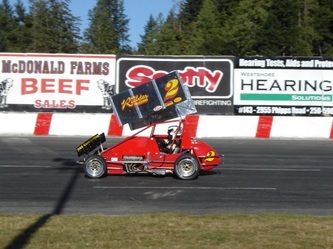 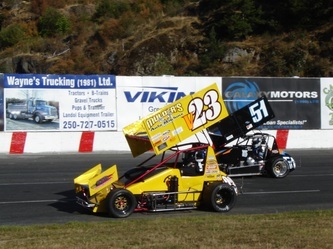 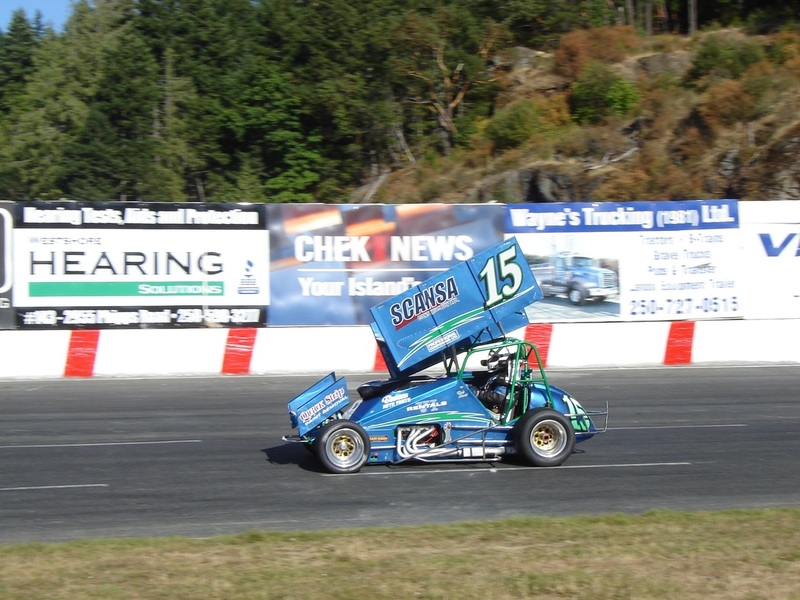 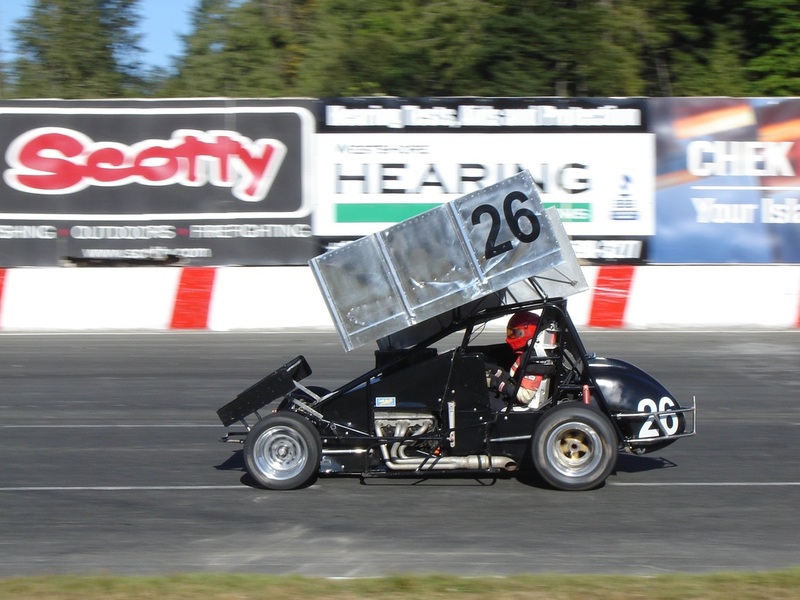 Western Speedway presented the two day Daffodil Cup event with the NSRA and WilRoc Sprint Cars, Sprint Lites and sponsored by P&R Truck Centre/Western Star and Richlock Rentals with day 1 one running for the Kershaw Cup on Friday night. 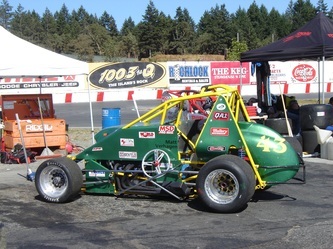 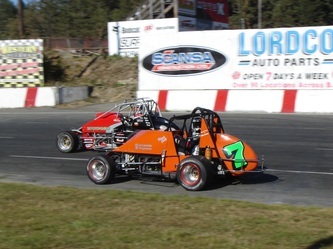 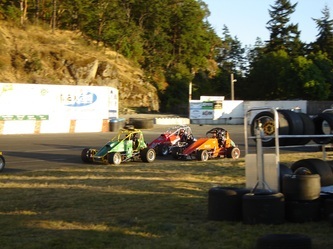 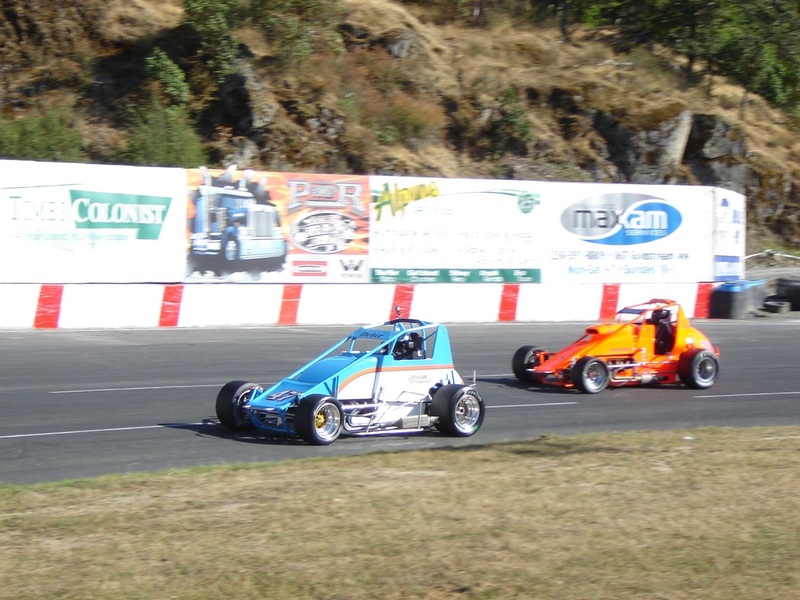 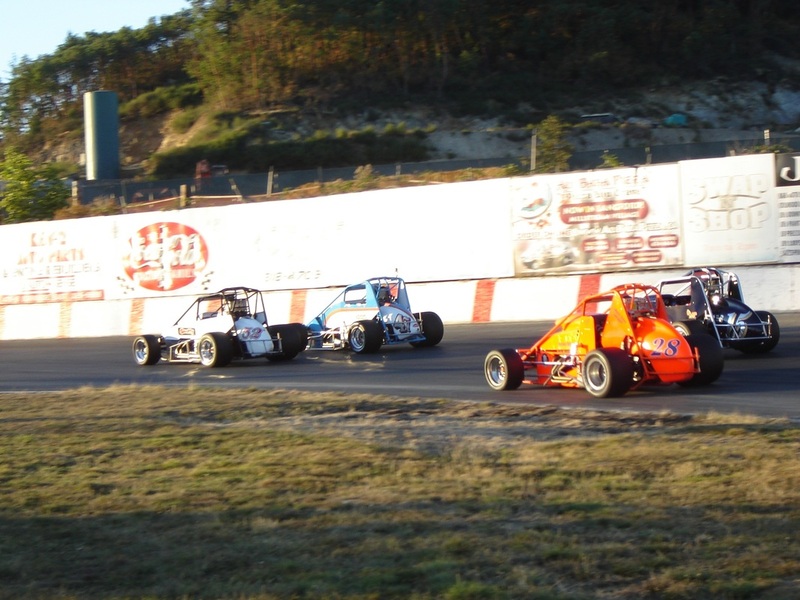 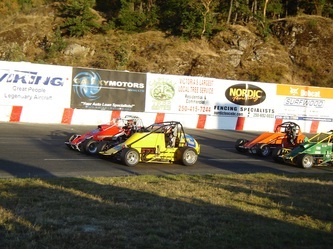 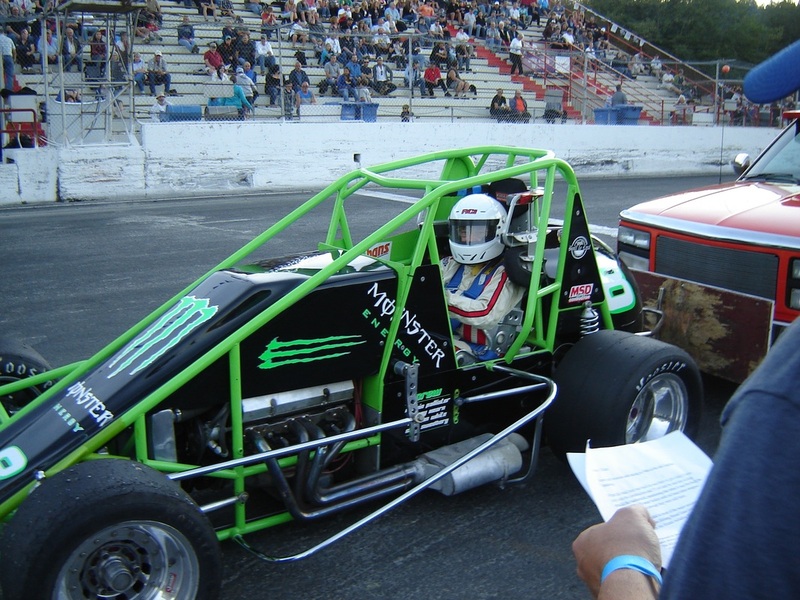 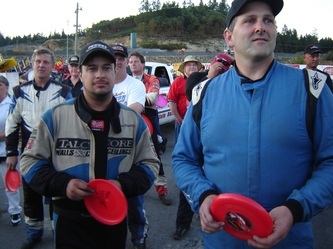 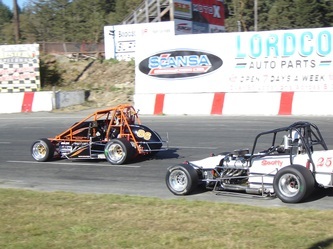 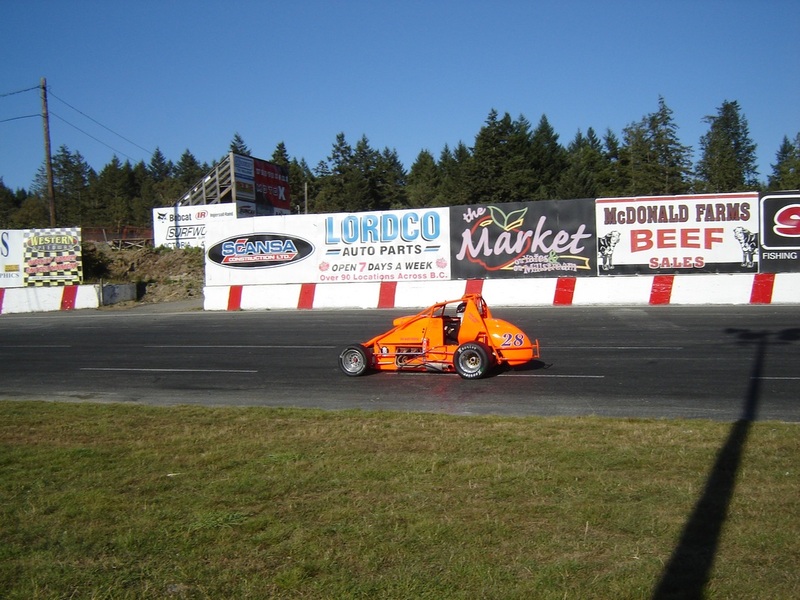 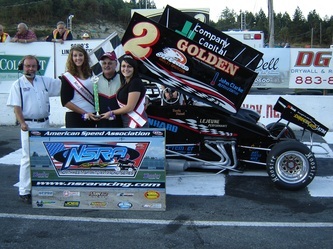 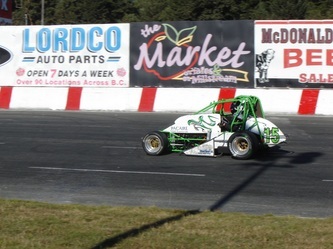 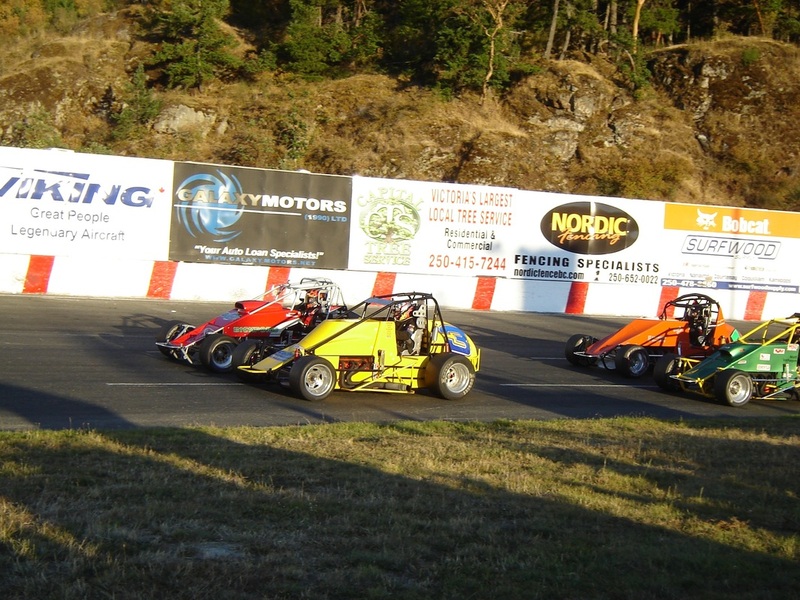 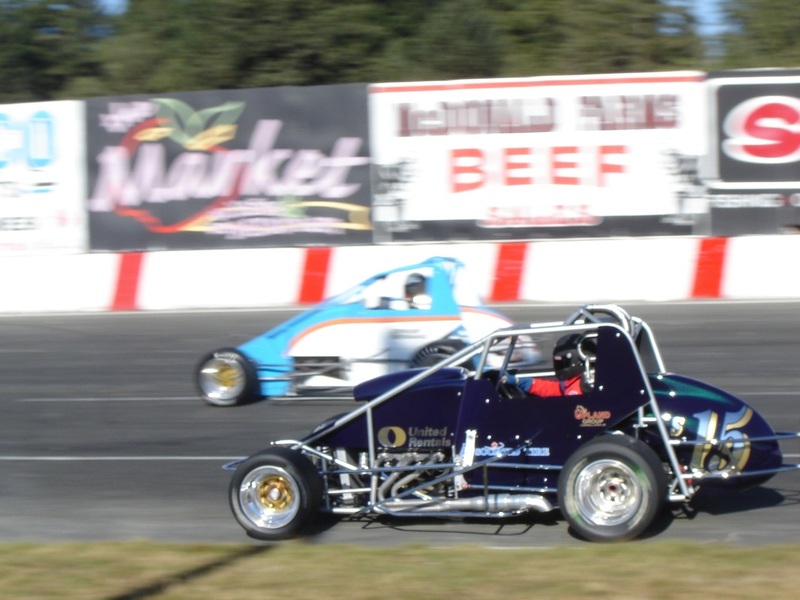 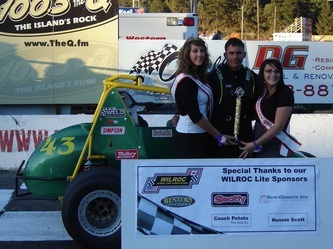 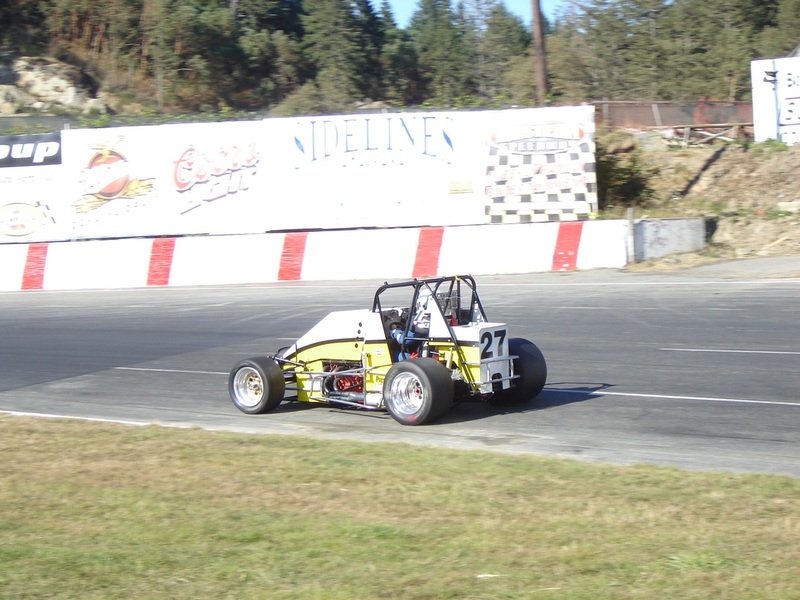 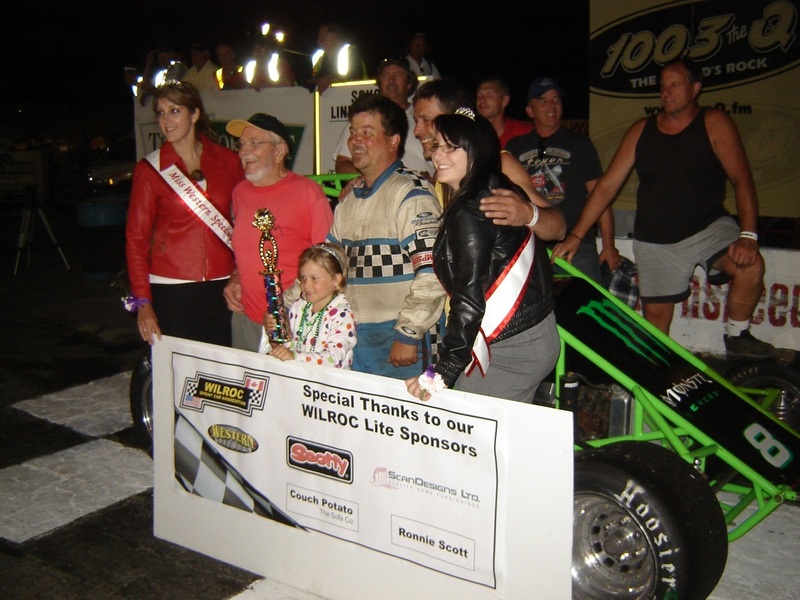 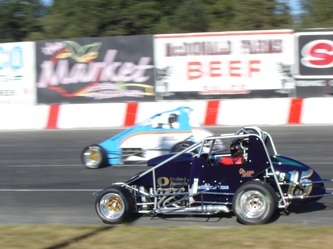 Both series competed in Trophy Dashes, Heat races, and Feature events. 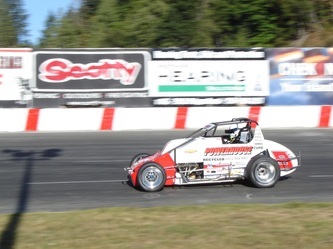 Dash wins went to Matt Verhagen and Jesse Dardengo in the Lites. 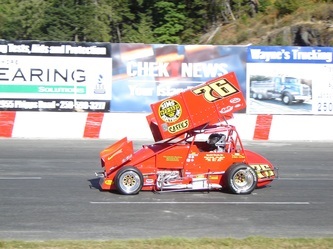 Randy Vincent and Matt Mansell won the Dashes for the Sprint Cars. Heat race 2, for the Sprint Cars produced some daram as Greg Middendorf lead early with Jeff Bird in close pursuit. 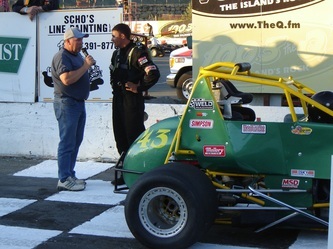 Jeff "The Hurricane" Montgomery moved into the second spot on lap four and then won a drag race down the frontstretch and eeked out the win over Bird by the narrowist of margins. 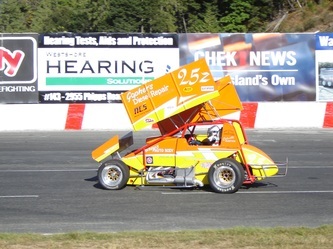 Other Sprint Car Heat race winners were Guy Barrett passing Marc Fisher with two laps remaining, and Ron Larson picking up the third Heat. 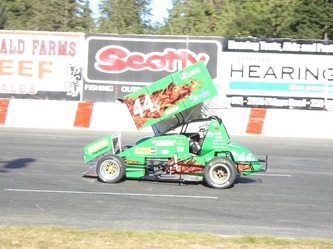 Lite Heat race winners were Lance Wade and Stephen Dardengo. Wade and Rob Haslam were in a tight battle for the lead and they touched tires sending Haslam into the air and spinning him out. 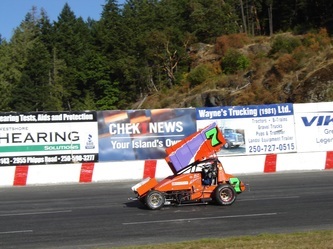 Paul Verhagen was also tight in this race but missed a collision with Haslam by a narrow margin finishing second to Wade. 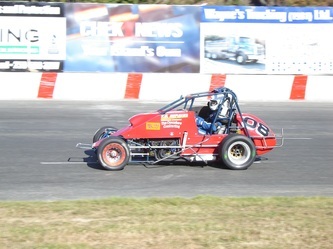 Between the Dashes and Heat races, Hall of Famer, Dave Cooper took a spin around the track in the Dale Robinson #8 WilRoc Lites car. 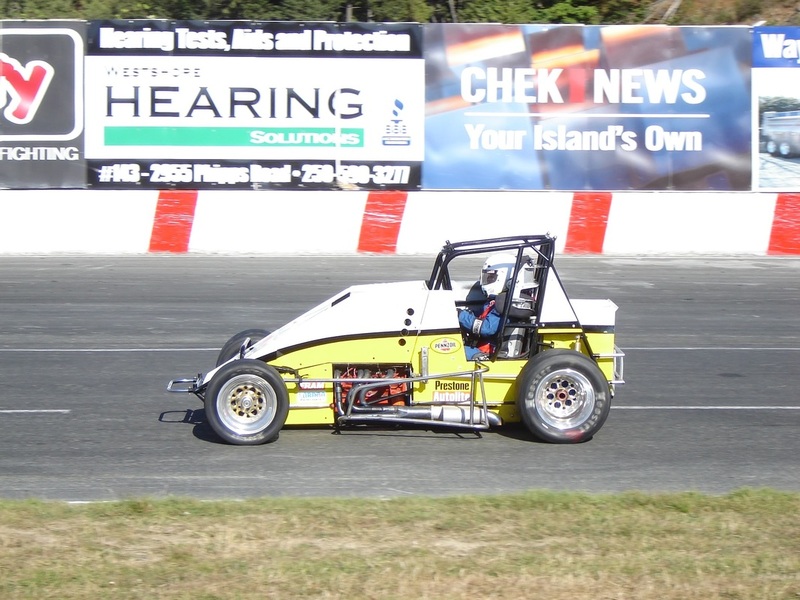 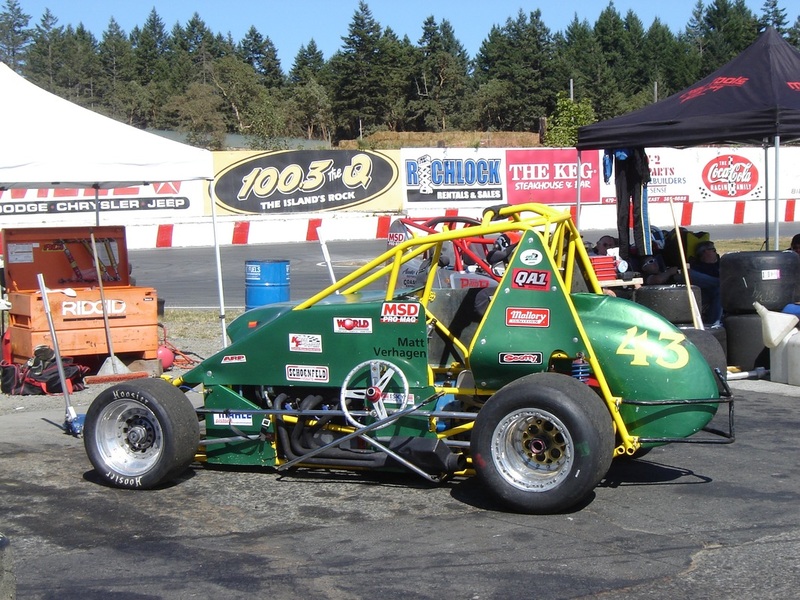 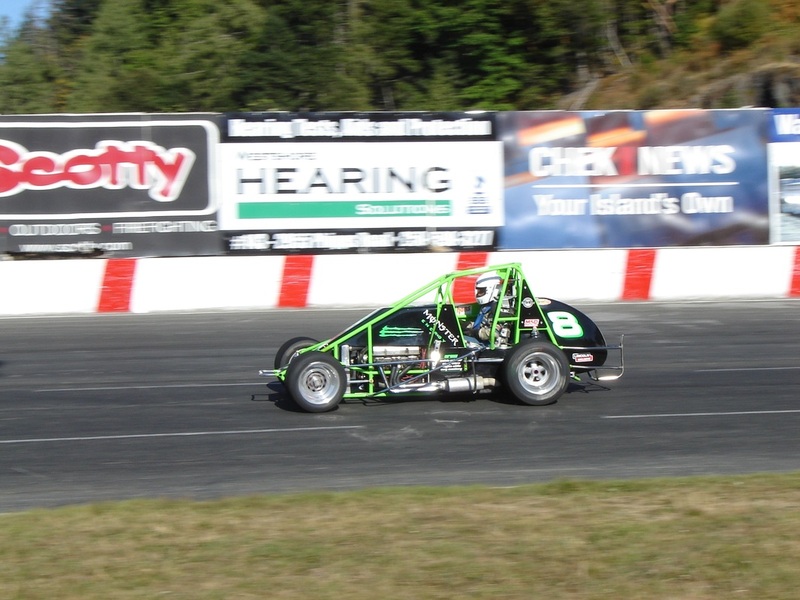 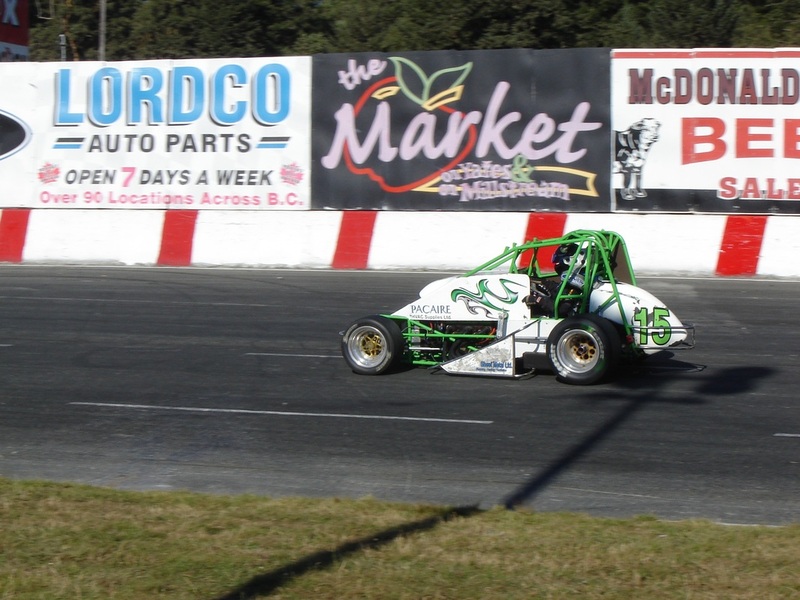 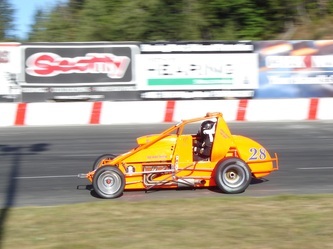 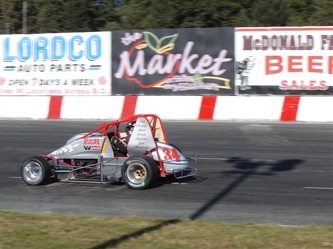 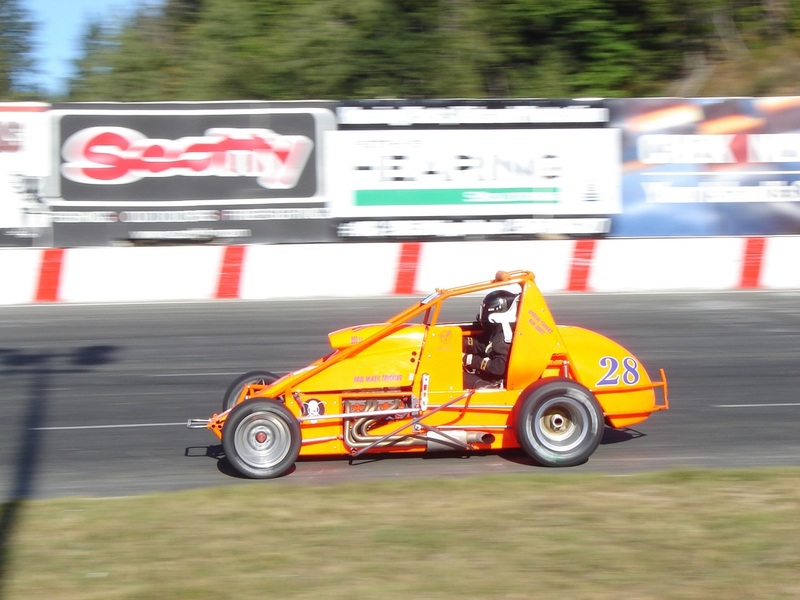 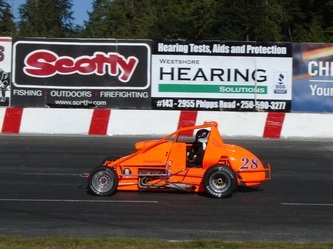 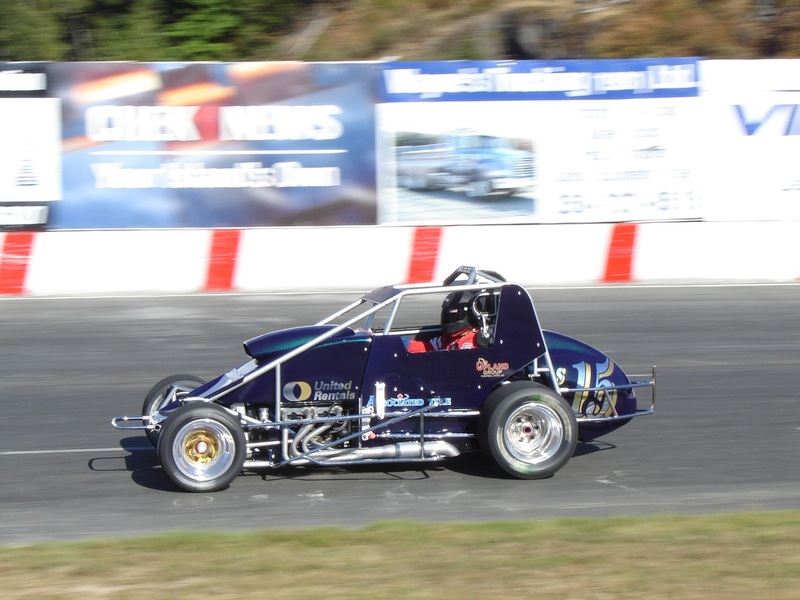 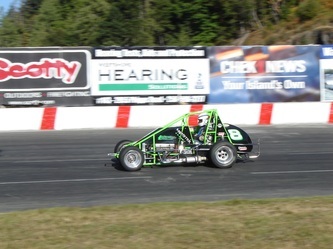 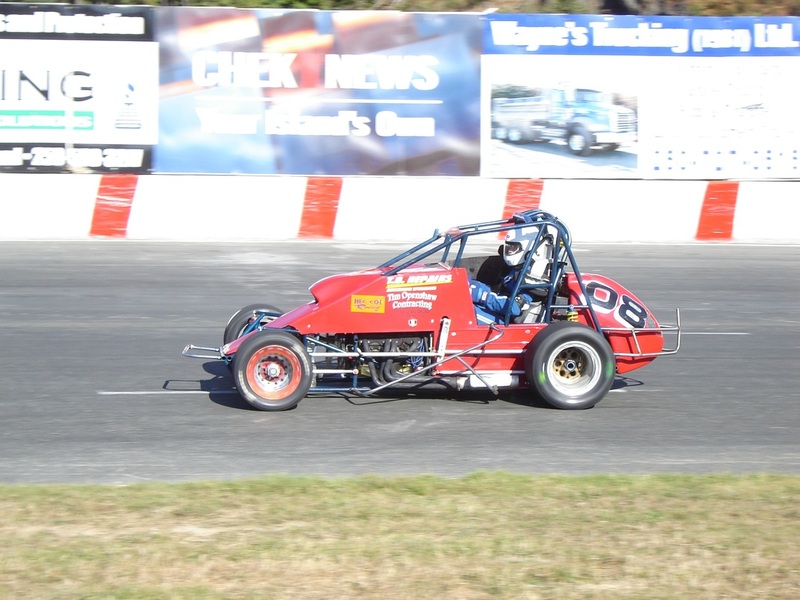 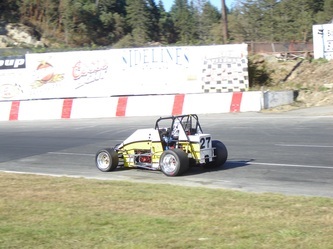 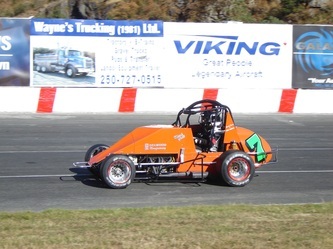 Dave is one of the very first Inductees to the Victoria Auto Racing Hall of Fame and he is ninety years young. 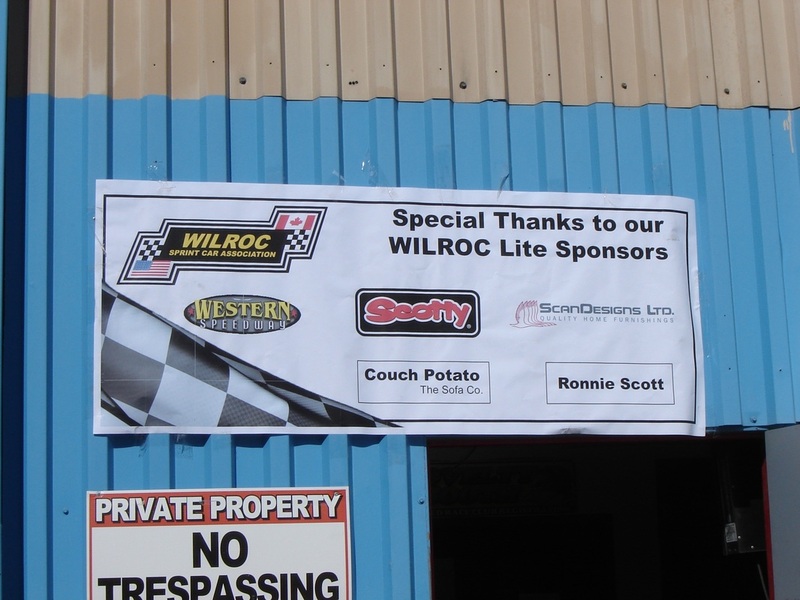 Also Howie Hilton, a long time supporter and push truck driver, received a lifetime acheivement award also on his eighty-third birthday. 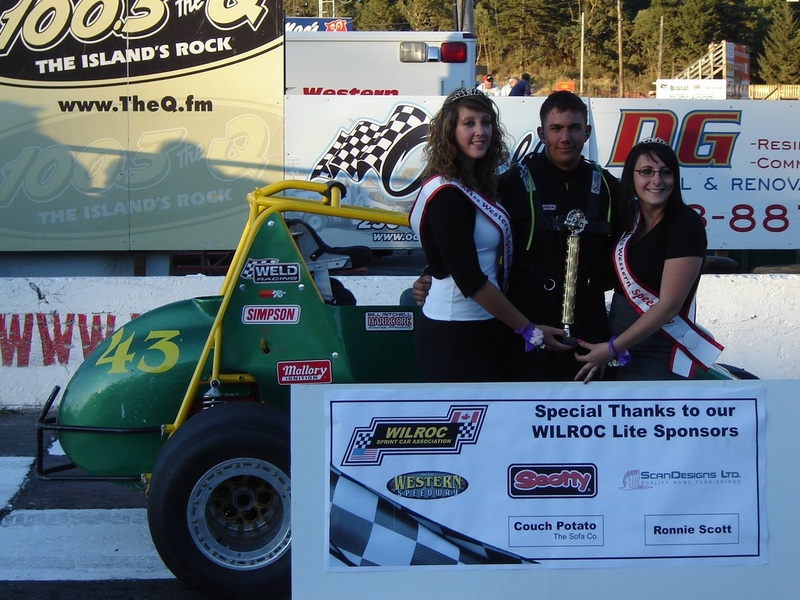 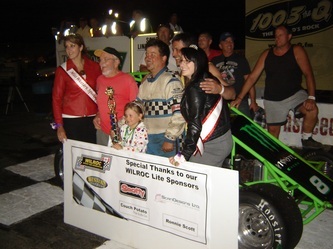 Sierra Jackson, the young driving sensation from Idaho, turned nineteen years old and was presented with balloons as she prepared for the night's racing. 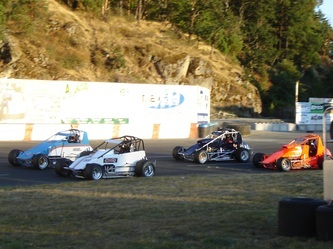 Matt Verhagen and Mark Gall led a field of seventeen cars to the green flag for a thirty lap Feature event for the WilRoc Lite Series. 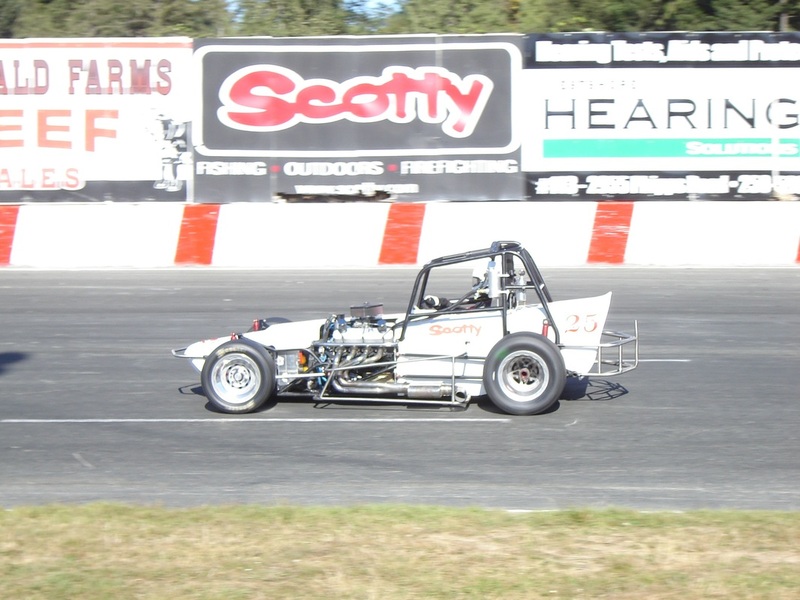 Chris Root got out to the early lead as Gall and Stephen Dardengo traded second spot back and forth for a few laps. 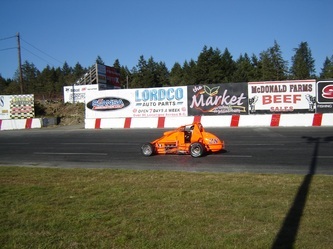 Lance Wade passed Dardengo on lap five followed by Rob Haslam one lap later. 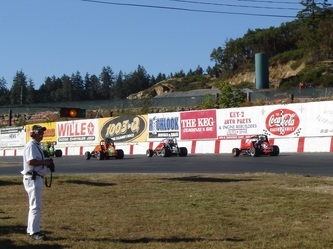 Deter Lejuene moved into contention on lap eleven taking the third position. Haslam was in a great battle with Wade, for the lead and Lejuene in the mix, and on lap seventeen Haslam and Lejuene touched tires spinning the #47 car around bringing out the caution flag. 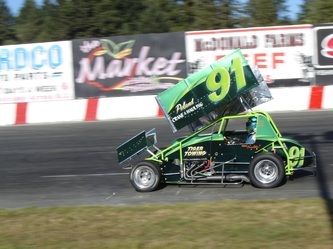 Haslam was able to keep his car straight and carried on. 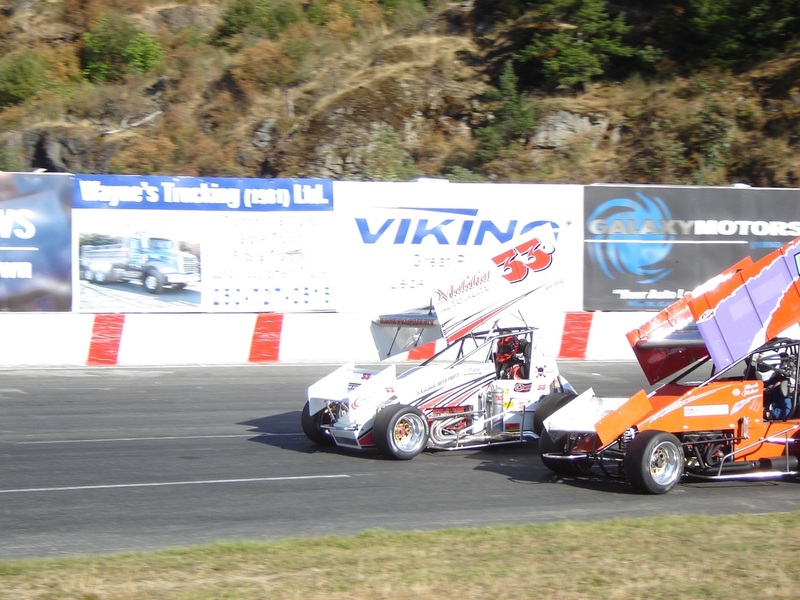 On the restart, Wade got away clean again with Haslam and Paul Verhagen running two and three. 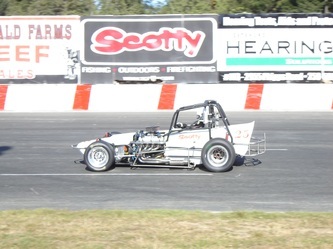 On lap nineteen, the yellow flag came out again as Ron French spun around in turn one. On the restart, Wade again got control and went back to the lead. 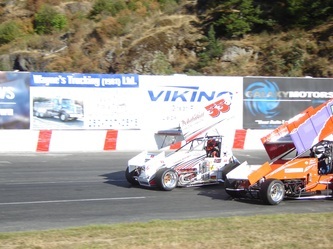 On lap twenty, going out of turn four, Wade spun all by himself and surrendered the lead to Haslam with Verhagen in second and Wade Heckford running third. Over the few remaining laps, Verhagen tried to get by Haslam but the laps ran out with Haslam taking the chequered flag followed by Verhagen, Heckford, Duane Zeinstra, and Mark Stewart rounding out the top five positions. Twenty cars took the green flag for a planned forty lap Feature in the Sprint Car Series with Darren Yates taking off for the early lead followed by Andy Alberding and Sierra Jackson. On lap six, the yellow came out as Greg Middendorf's car shut off. 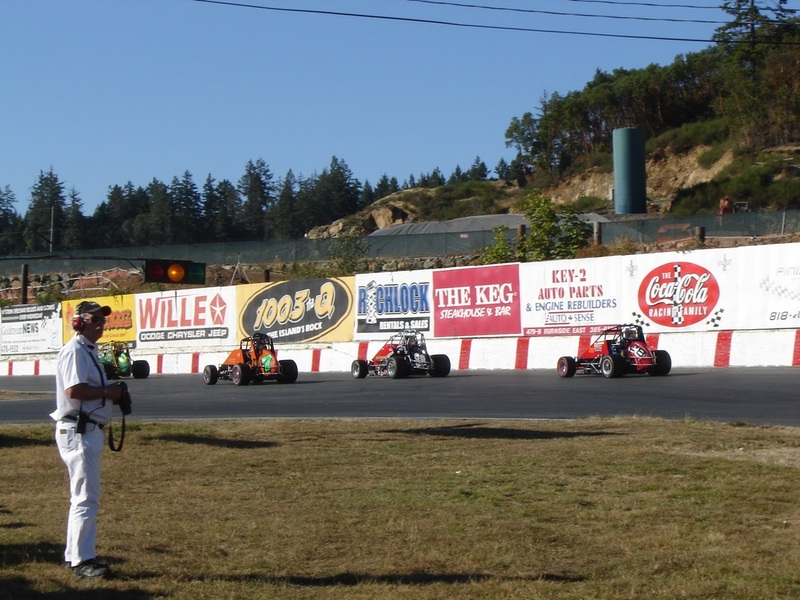 Yates got away again with a good start and went back to the lead on the green flag with Alberding and Jackson still in the hunt. 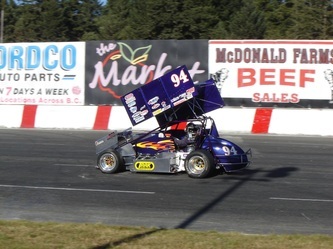 NSRA points leader, Matt Hein, moved up to run side by side with Jackson looking to improve on his position with Matt Mansell and Scott Aumen also charging forward. 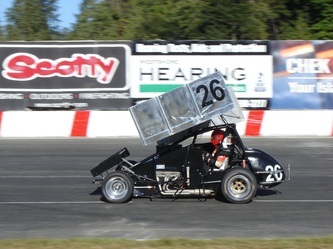 On lap thirteen, Hein took over the third spot as Aumen also moved up two laps later dropping Jackson back to fifth just as the yellow came out again as Guy Barrett's car shut down. 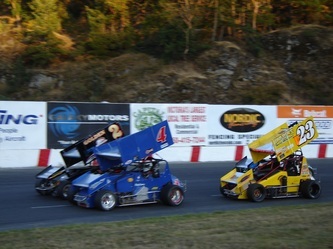 On the double file restart, Yates had Alberding on his outside as they took the green flag. 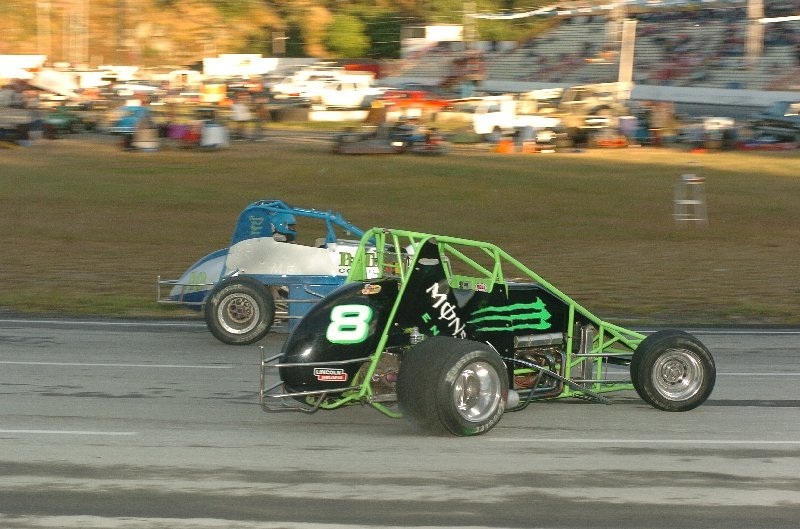 Once again Yates got a good jump and went back to the lead but the green flag racing didn't last long as Ron Larson and Jeff Bird got together and piled into the turn four wall bringing out the red flag. 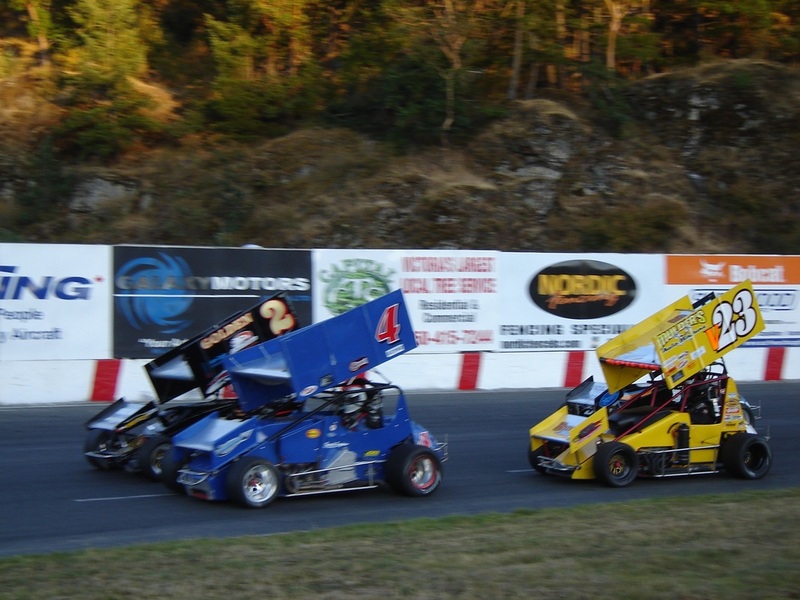 No one was hurt but significant damage was done to both the #2 and #51 car ending their run. After several minutes delay, Yates again had the lead, on a single file restart, with Alberding and Hein running second and third respectively. 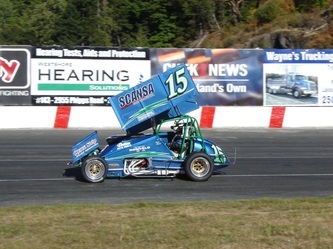 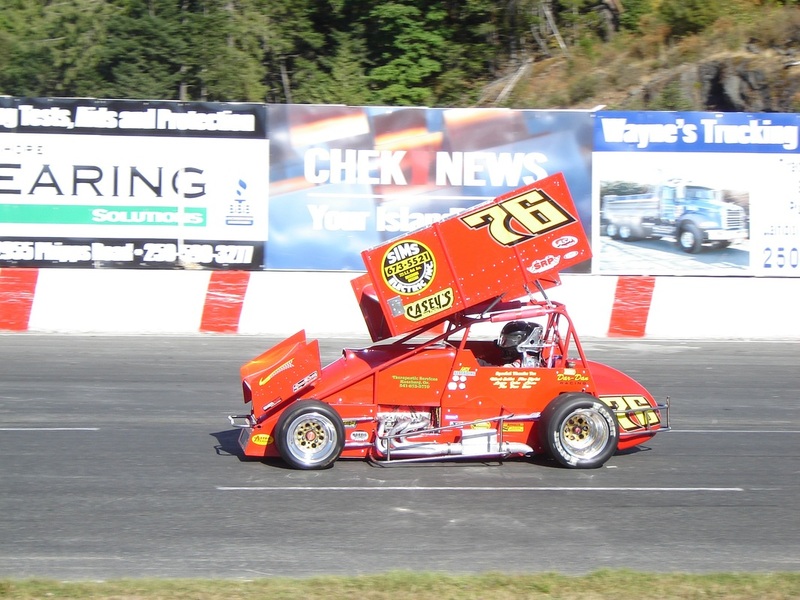 On lap fifteen, the yellow came out again as Rob Scott turned around in turn four. 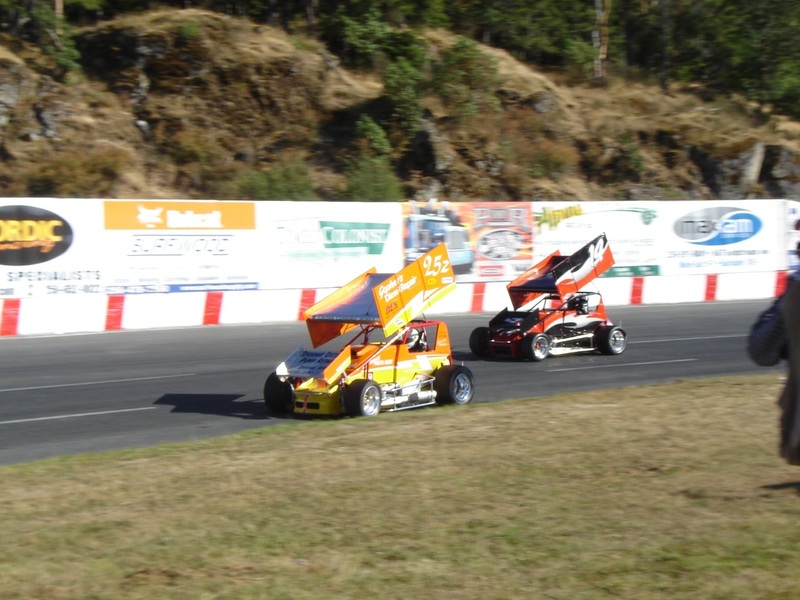 On this restart, Yates again got control and went back to the lead still followed by Alberding and Hein. 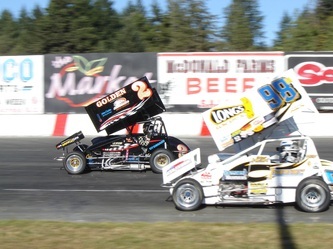 On lap twenty-three the leaders came up on lapped traffic and Alberding made the most of it as he dove low and passed Yates for the lead as Scott Aumen also moved up taking the second spot one lap later. Hein also moved up to run side by side with Yates and going through turn two, they got together spinning out leaving Randy Vincent with nowhere to go and he slammed into the back of Yates. 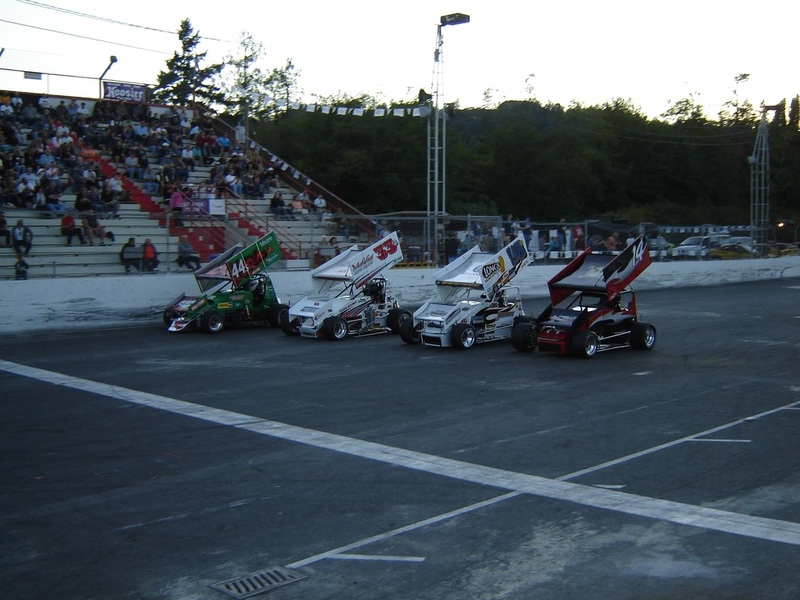 Hein was able to dislodge his car but Yates and Vincent's night would be finished in this pileup. 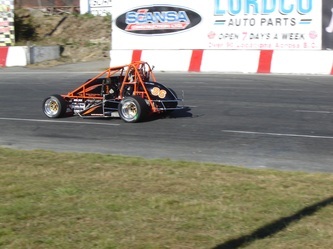 No one was injured in this crash either. 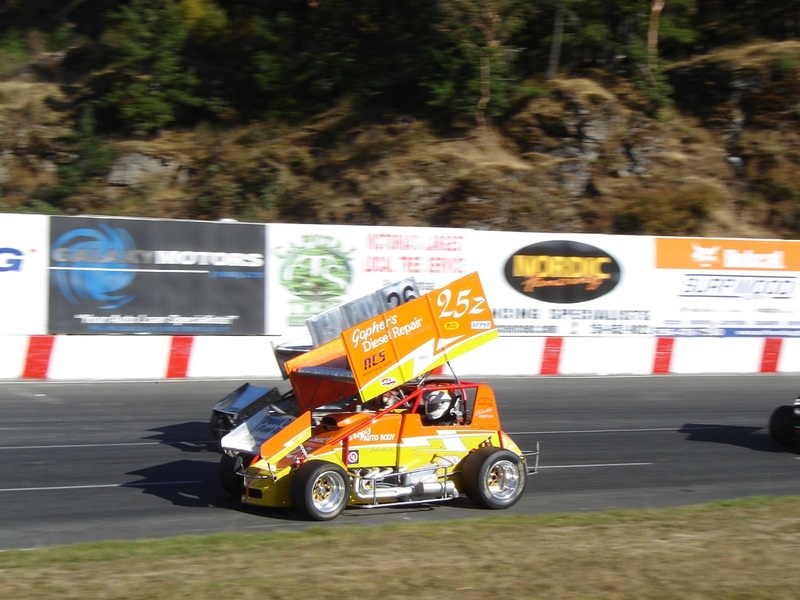 On the restart, Aumen just blew past Alberding coming out of turn four with his patented slide job and took over the lead. 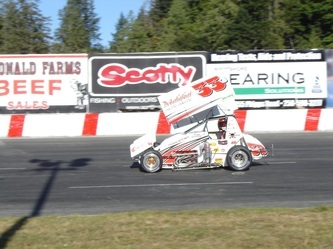 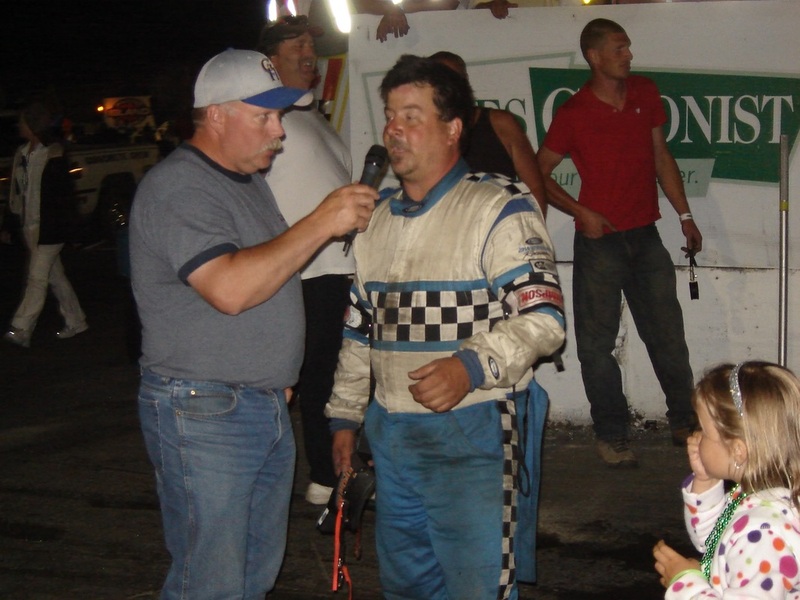 This race was shortened to thirty laps and Aumen came away with the win followed by Alberding, Jackson, Guy Barrett, and Jeff Montgomery in a thrilling race to the finish. 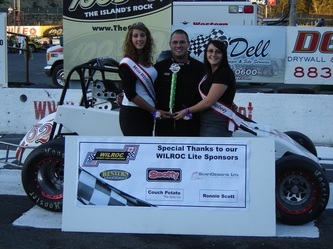 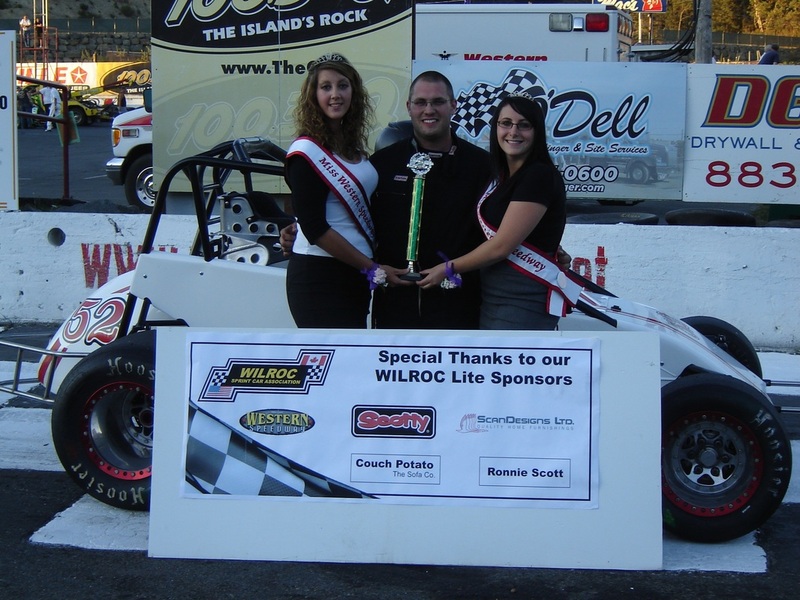 Trophy Girls, Kayla and Rockell presented the winning drivers with their respective trophies with the Kershaw Cup going to Scott Aumen for that dramatic finish.